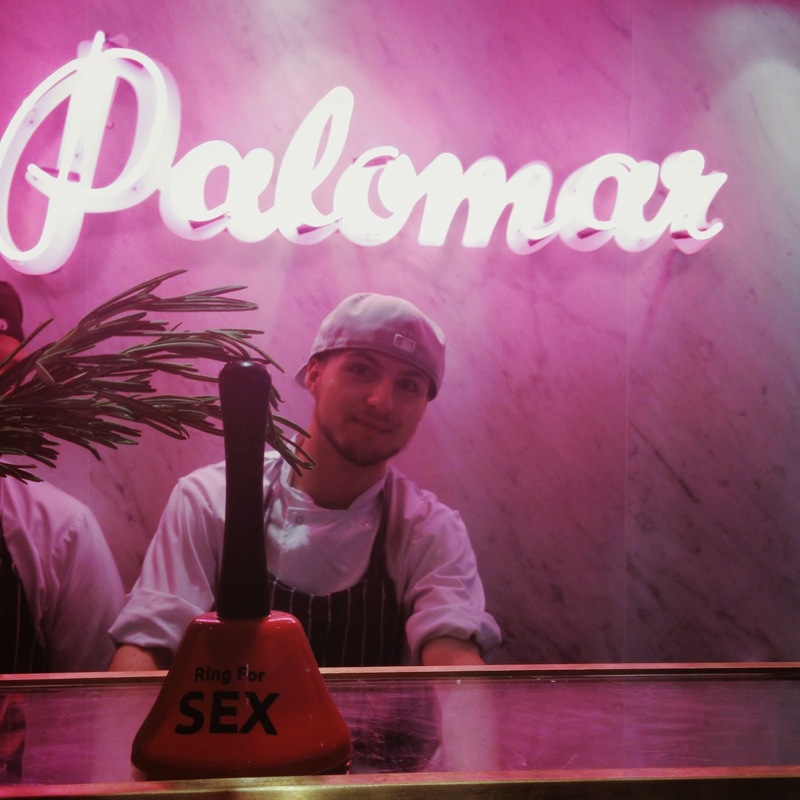 A little jaunt with two lovely young ladies brought me through the doors of The Palomar and from the moment you enter, the charisma and character is all encompassing. Even though I visited soon after it opening, there was no indication that it was a newborn. 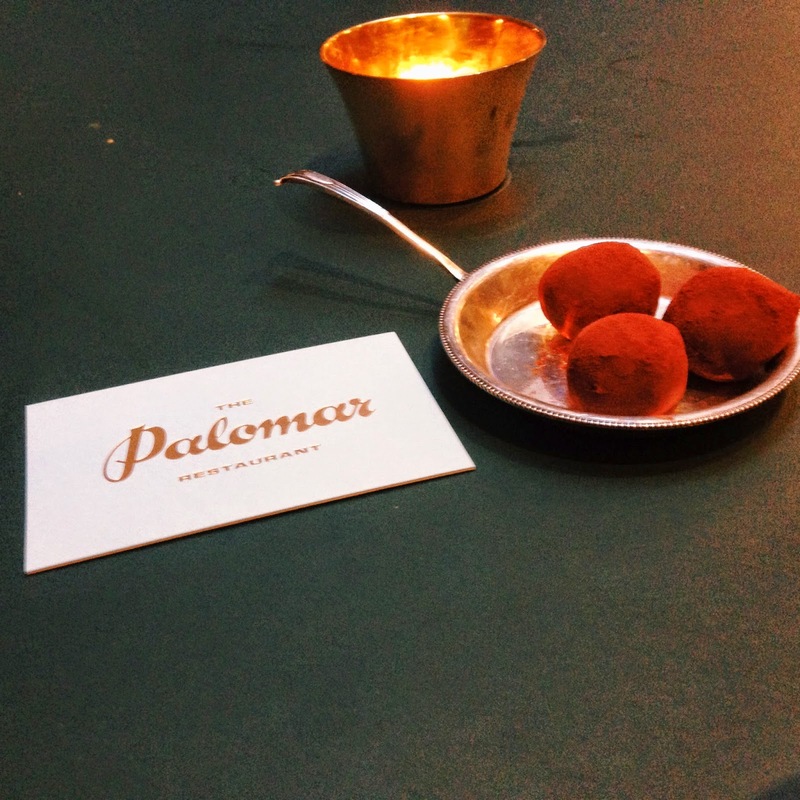 Bringing the taste of modern day Jerusalem and the experience of Machneyuda to the streets of Soho, Palomar has succeeded in serving up a cuisine that up until now has been an untapped resource in London. 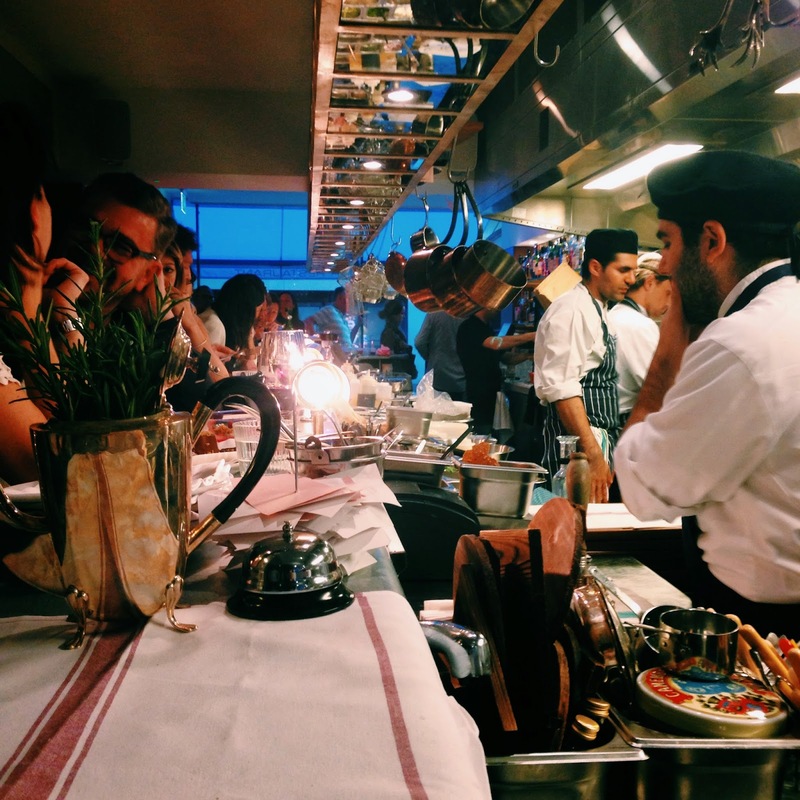 The mixture of herbs and spices that are so unique to Israel and the middle east are whipped up into a flavoursome frenzy and served up in mouth watering combinations. 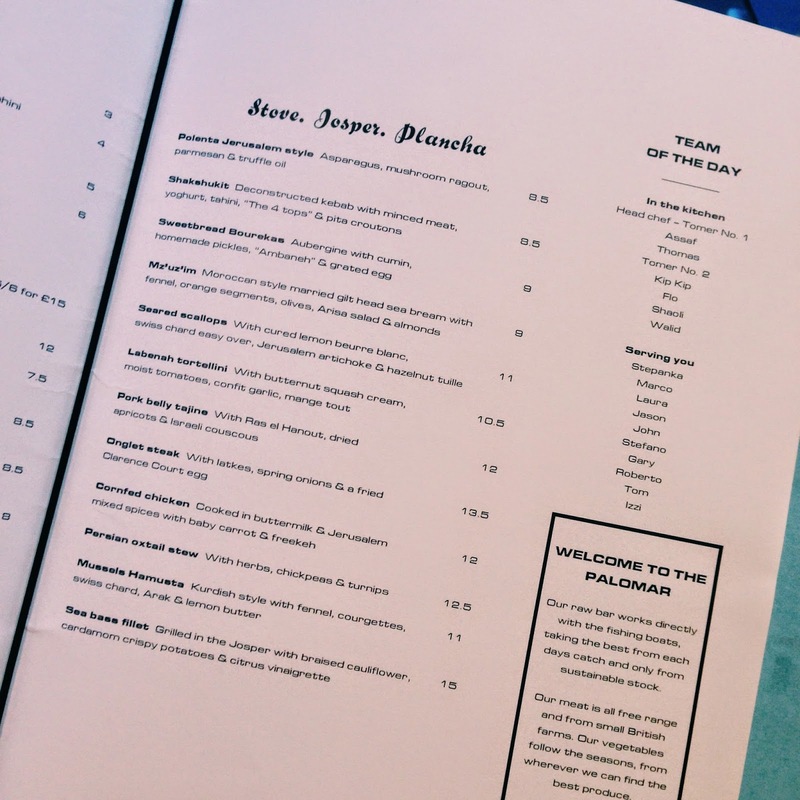 The staff were impeccably versed in the menu and in fact are even named on the menu – a delightfully personal touch. 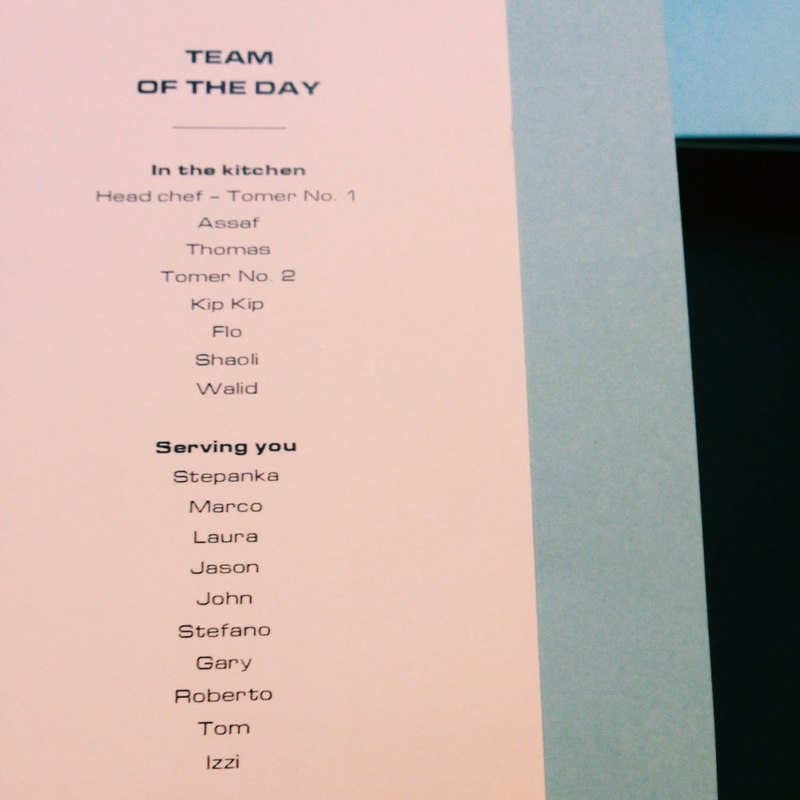 Palomar leaves it up to you to decide whether or not to share the dishes. They are served on boards and in silver platters for you to fight over or steal for yourself. 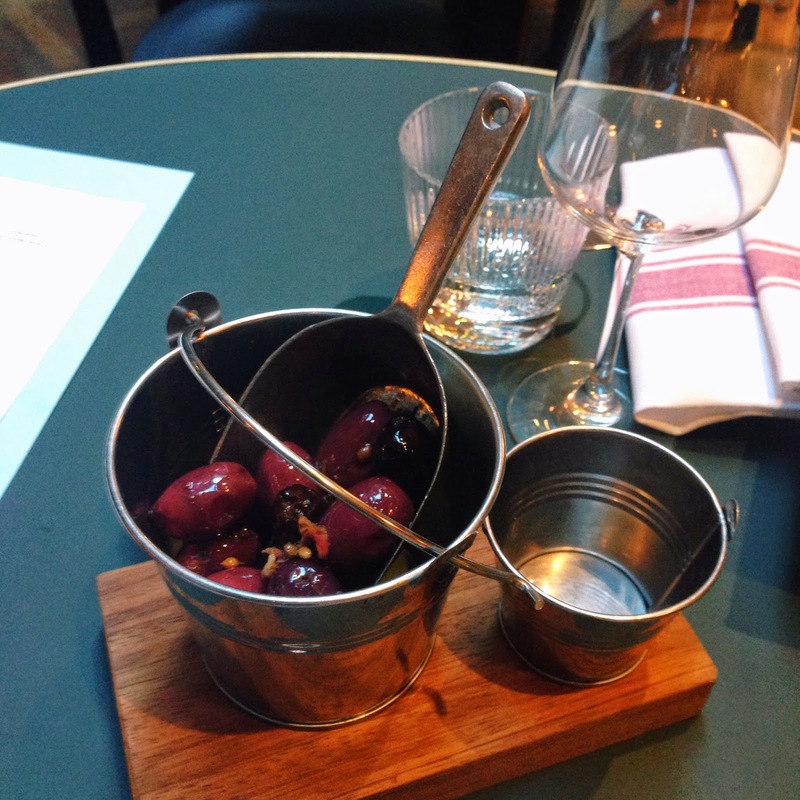 While we were deciding, we tucked into what were some of the juiciest and flavoursome olives I think I have ever tasted, served in a little bucket with added spade! Wanting to taste a bit of everything, we went for a selection of dishes and short of licking the bowls clean, polished off every last morsel. 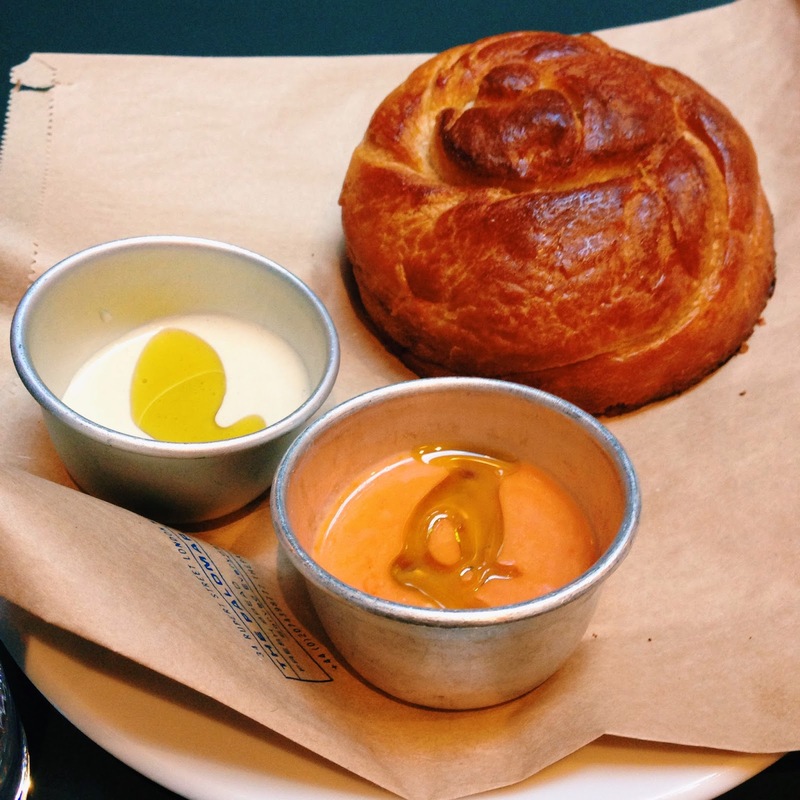 First, the kubaneh, a brioche style bread which we dunked into tahini and a creamy tomato dips. 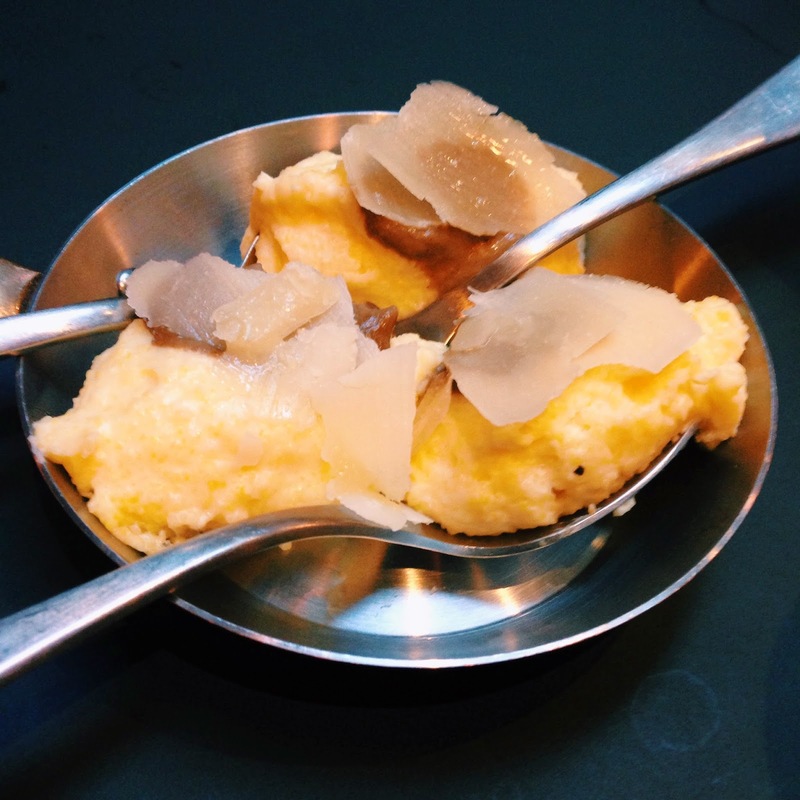 A little gift from the chef came in the form of little spoons of polenta with a glob of mushroom puree and shards of parmesan. Not being a huge fan of any of the ingredients, I was surprised and delighted to discover these were little mouthfuls of heaven! 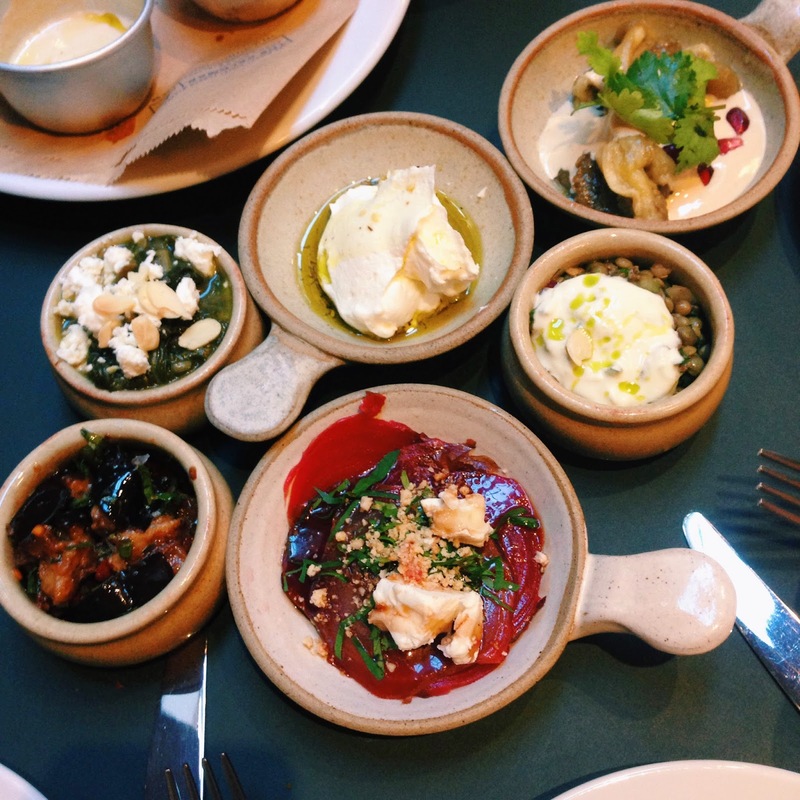 Next up were the daily assorted meze; earthenware bowls of aubergine, beetroot, lentils, labneh and feta. These didn't last long, scooped and spooned till there was nothing left. 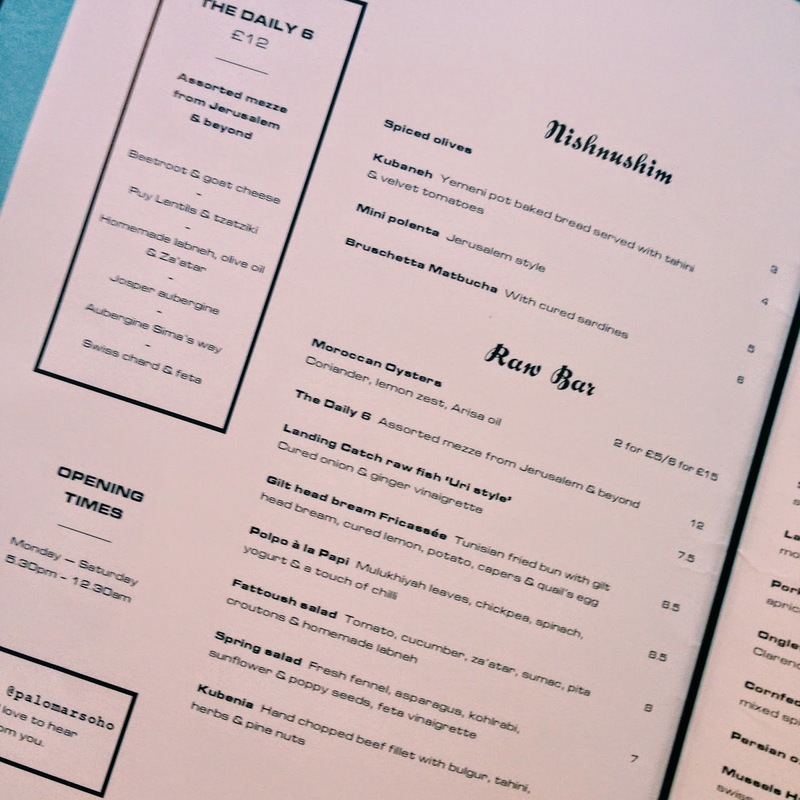 There are two options for diners. Either, sit in the more sultry, leathery room just past the bar where you can spread your dishes all over the table, or the glowing pink raw bar that caters for walk-ins and those looking for a bit of an extra buzz (I believe that’s what the kids are calling it nowadays .. note the bell). Have a cocktail while you wait or just watch the bar man whip it up in his multicoloured lair. 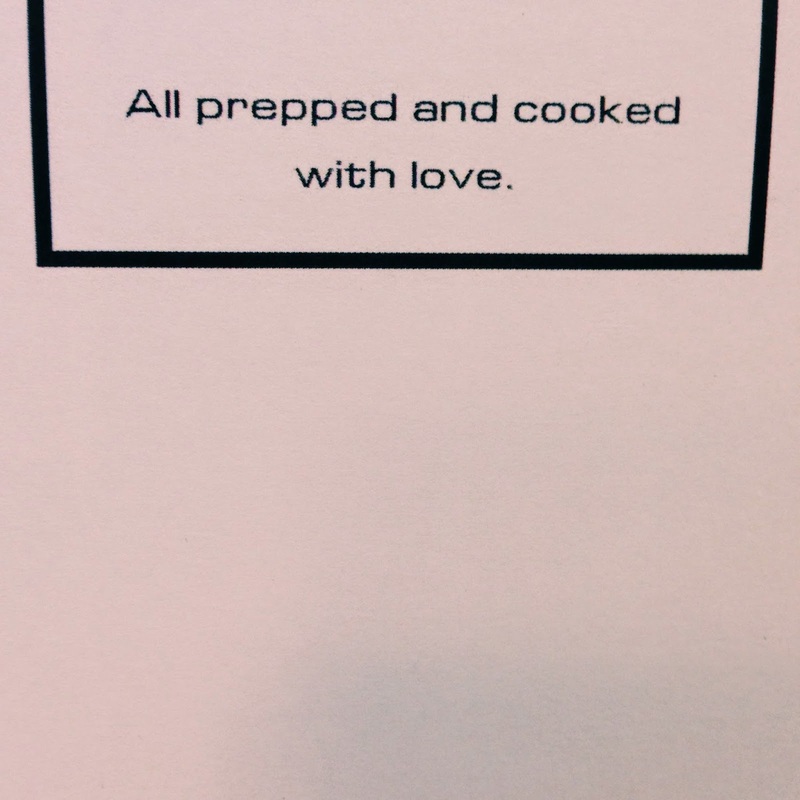 Then watch the chefs at work as you nibble. Back to our table, the food had arrived. Chicken in buttermilk with greens, carrots and freekeh was tender, creamy and spicy all at once. 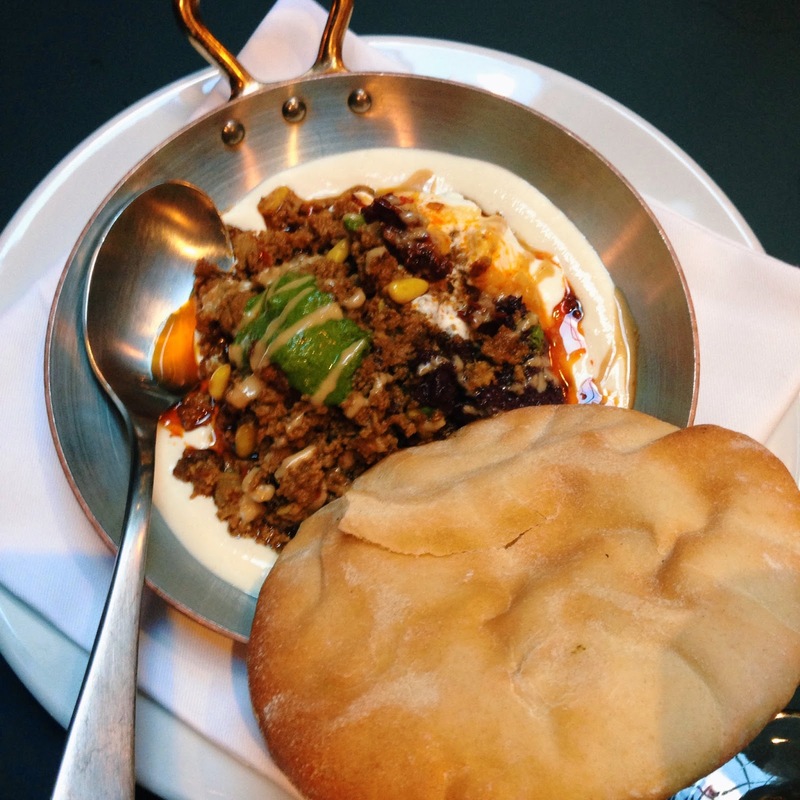 Next up and served with pita, youghurt and tahini was the meaty shakshukit, a little like a deconstructed kebab. 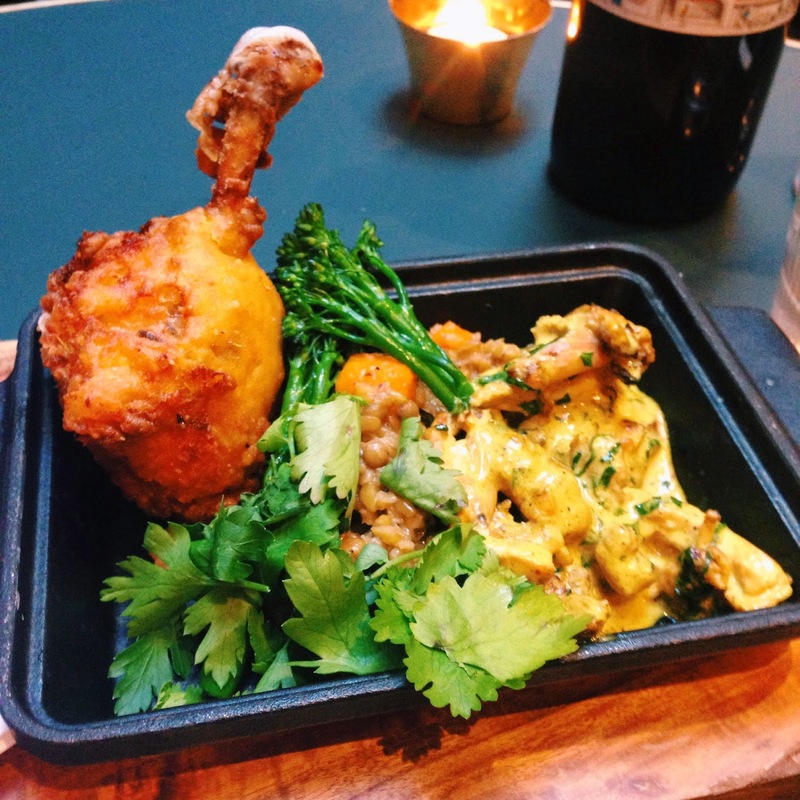 All I can say is thank goodness for deconstructed kebabs! 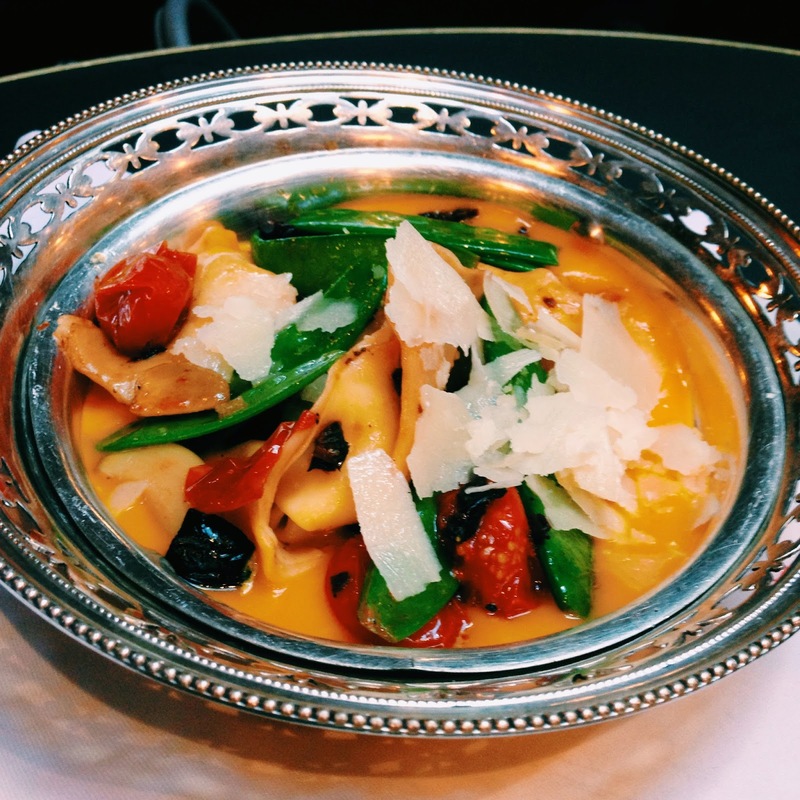 Labeneh tortellini won the show for me, with butternut squash cream, mange tout and sweet tiny tomatoes served in a shining silver bowl. Mmmmm mm mmmm. Too stuffed to even attempt dessert, we grinned when some little chocolate truffles arrived unannounced (because it's a universally acknowledged fact that EVERYONE has space for something sweet even when they think they're fit to burst)! 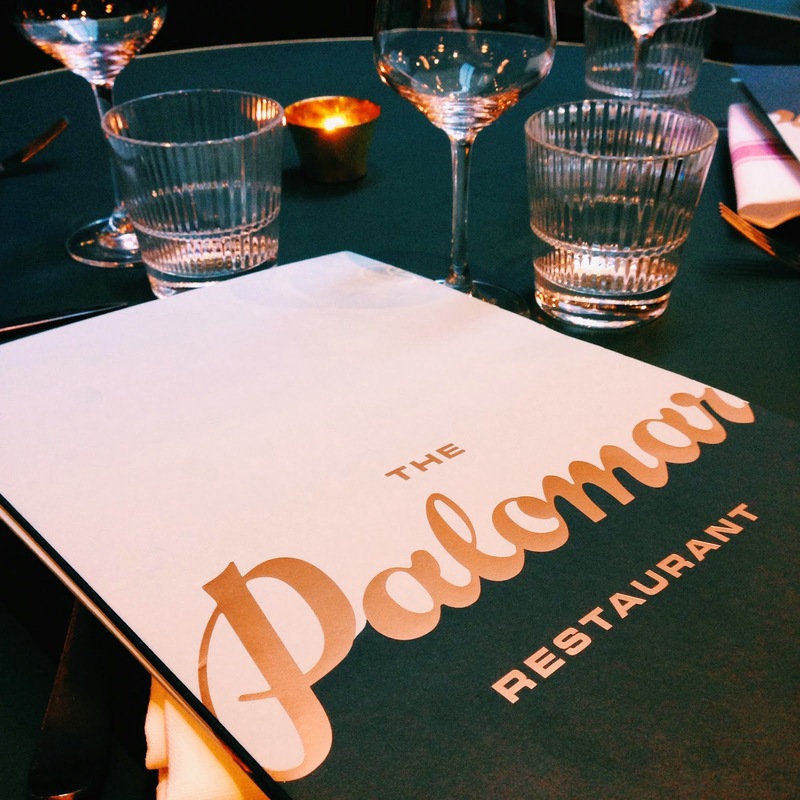 Thank you to my lovely dining companions and to The Palomar, a refreshing addition to Soho and one that totally deserves all the glowing reviews. Wow, everything looks so good! I want to go and try it all out now! Thanks for sharing. I really need to go here. It sounds amazing. I'm a little in love with the place (and Tom our waiter)! 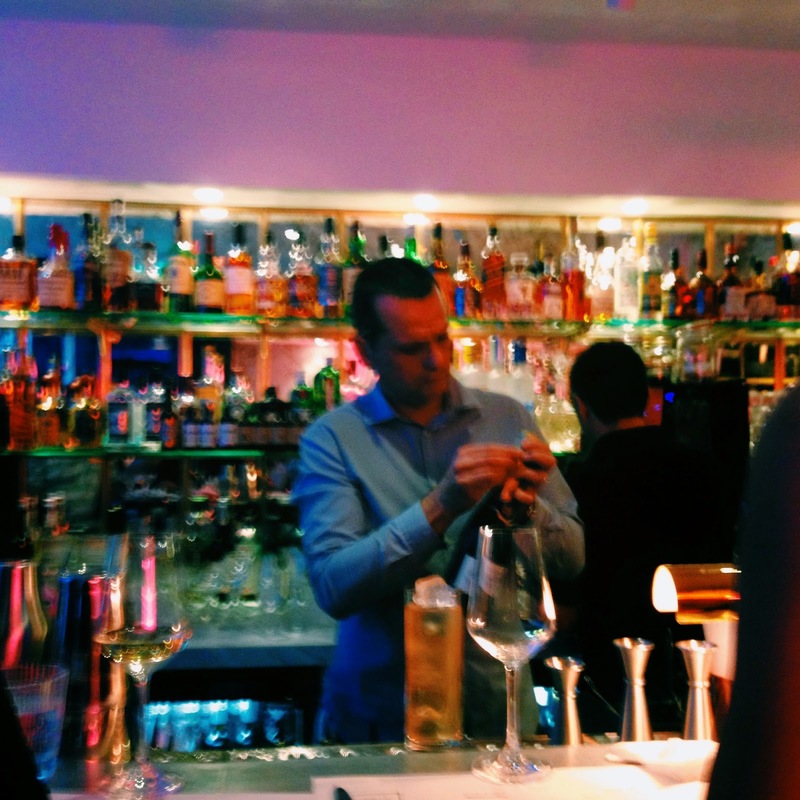 I also want to go back and see what happens if I ring that bell ;) ..
Oh hello mezzes, I've been waiting for you! That super 6 is right up my street as everything looks so good I'd really struggle to decide!! I couldn't agree more and I recommend going with 3 people who like to share so you get the best of both/ all the worlds! (I'll happily go again)!